Photographs only capture a moment, but it is an attractive media that connects to others. This is the second time this photo exhibition has come to Hokkaido. 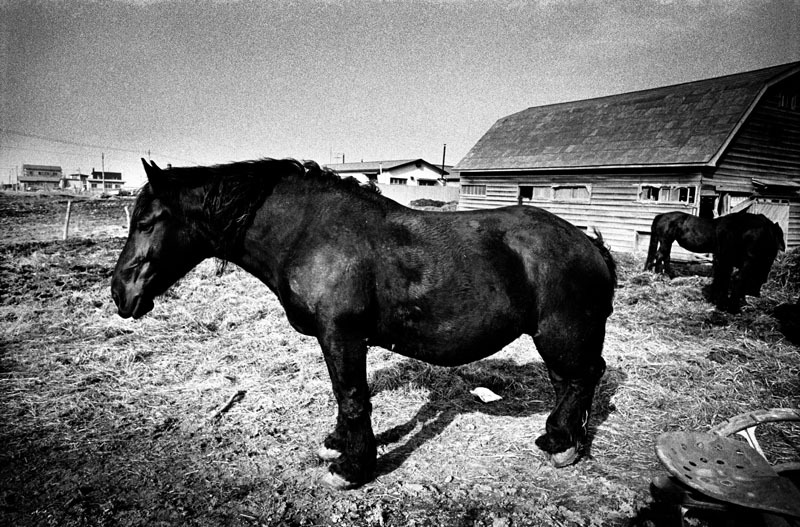 Previously, the Hikarinokariudo Daido Moriyama (1965-2003) exhibition was brought to the Kushiro Art Museum in 2003. 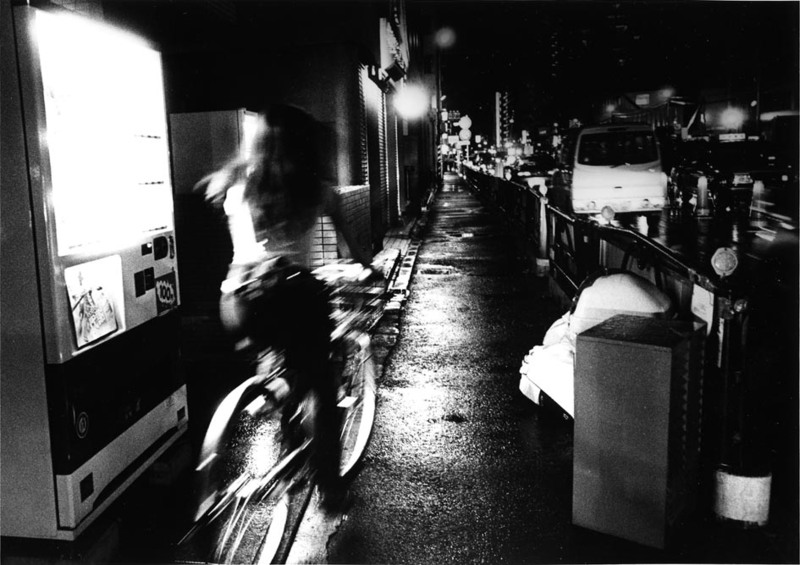 Moriyama’s exhibition entitled Daido Moriyama Record/Memory started at the Miyanomori Art Museum. This exhibition is composed of three categories: Record, Hokkaido’s photographs and his masterpieces. Record restarted once again after 34 years when he met designer Akio Nagasawa. The series goes beyond its rough, out-of-focus and blurry images. 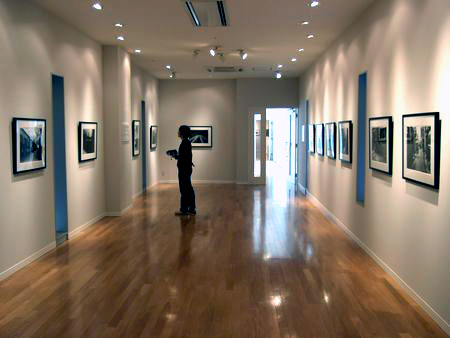 I learned a lot by watching the documentary available in the museum “Daido Moriyama (2001)”. Namely, I have a very strong image of cigarettes. So I questioned him about whether or not he is thinking about quitting smoking since then and of course his work. Also, I had a chance to talk to Mr. Nagasawa who the publisher of Record. The very first piece of the exhibition starts with pictures from the magazine Record vol. 6 (published January 2007). These photos are different from the magazine as they are non-trimming pictures. Moriyama mentioned once he finishes his prints he will pass them on to designers. Those images can become more in the hands of others. But when others are involved, it causes chemical reactions I believe. Also, I don’t shoot with any starting or ending point in record. It doesn’t really matter. Those prints are handed in as a manuscript. In the Record project two designers give two ideas for him to pick. Moriyama said, it’s like defiant catch ball. Nagasawa said, it is rare to find a photographer willing to collaborate like this. I always think about designs that will surprise him. Moryama continues, there are some shoots that go toward an image I composed but in Record it is pretty casual. Just press the shutter button and forget about it. When I developed and saw those negatives, I realized my feelings at that moment were very important. And of course the viewer sees my work with their own feelings at that particular time. Record will be published again starting in August. This photo magazine is released four times a year and will be in stores not only in Japan, but in the United States and Europe as well. Toward the back room many photographs of Hokkaido are on display. Moriyama likes taking pictures of Hokkaido because he wants to show respect for Kenzo Tanaka who kept records of reclamation through his photography. “Tanaka’s photographs are records of history, but there are many great photographs that aren’t just records.” Moriyama declares that photos are records, but his background came from her as well. Furthermore, Moriyama has a deep admiration for Hokkaido and the people in it. “I like the faces of mining towns such as Akabira, Yubari, and Ikushunbetsu. I was very excited when I saw the same scenery from an illustrated reference book in my childhood.” I have printed some photos for the first time from thirty-years ago. 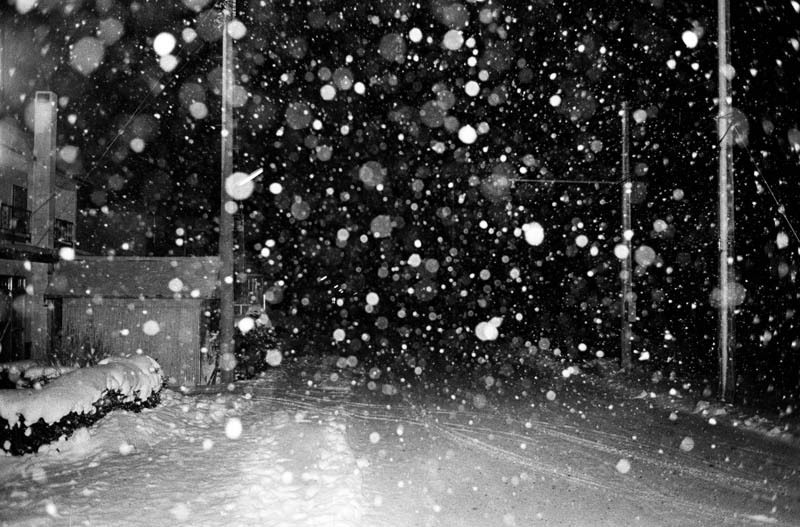 It was hard to tell where these were taken from one picture, but as Moriyama went through the negatives it came back. By the way, some people who went to this exhibition told me “I had been there quite a bit before” or “I felt like I was there.” They looked amazed and happy at the same time. 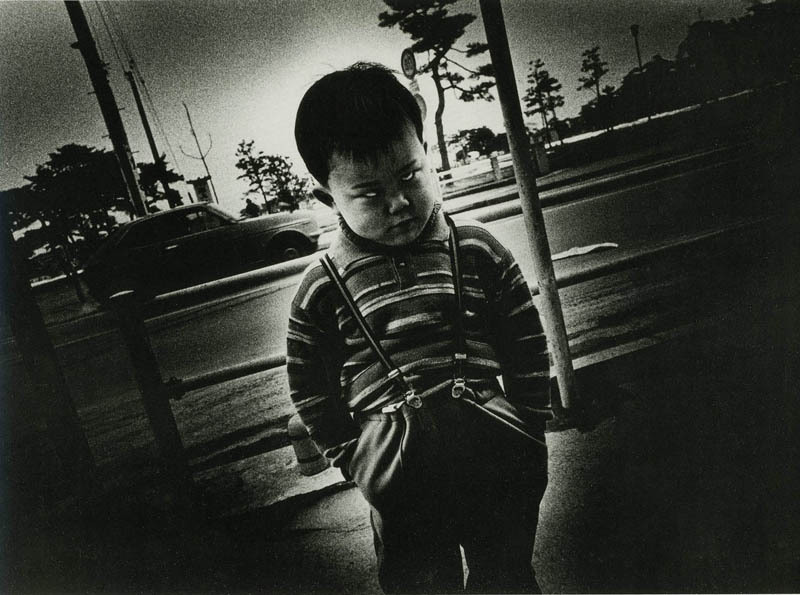 During Moriyama’s talk at the gallery he said, “Photographs only capture a moment, but it is an attractive media that connects to others.” I think when people saw his photos and had feelings like that, we could have shared a similar feeling that he was talking about. Like “Desire”, “Feeling”, “Record”, he mentioned a couple of words he was repeating in this interview and the talk at gallery. His photographs keep records of moments with intuition in the scenery of a city. There is a desire that photographers want to shoot just like breathing or smoking, and catch people’s breath which get a trace in a city life. After I heard his talk, I have been thinking about what these words mean, and realize my desire to take pictures is sparse. But I think his words and landscapes are affecting me in some way quietly. 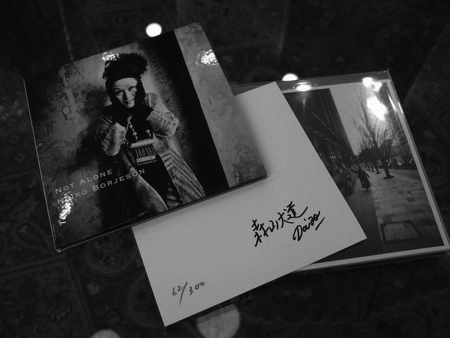 Moriyama took a jacket cover picture for Jazz pianist Keiko Borjeson’s CD. It will be released in September, but museum started to sell these pictures in different collections. It also comes with the original print for limited to 300 sets. This exhibition is held until August 26th. “Record” is on sale at the museum shop all year around, and they are expecting a new change. There is a photo exhibition “EROTICA” until August 5th, and an exhibition from a recent photo series “Hawaii” until July 27th. 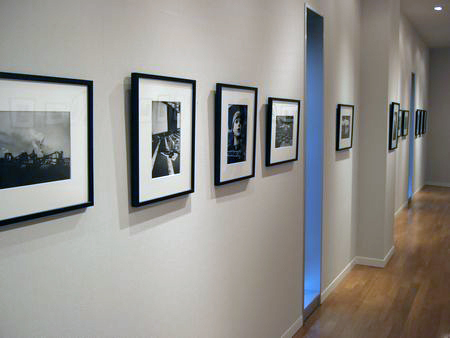 For his upcoming events, there is a photo exhibition at Tokyo Photography Museum in May 2008; a huge exhibition tour in 5 countries in Europe starting from Spain, and an exhibition in Germany in September.